« Joyeux bordel », week-end de formation : ART et Activisme – PARIS. Dans le cadre de la campagne Requins 2015 et à l’occasion de la sortie du livre Joyeux bordel, Attac organise un week-end de formation : « Joyeux Bordel – Art, activisme et chaos climatique. Une introduction aux stratégies et tactiques de résistance créative ». Samedi 28 février et dimanche 1er mars 2015, à Paris. Vous avez envie de (vous) mobiliser pour lutter contre les causes du chaos climatique ? Vous avez souvent l’impression que toutes les actions se ressemblent et ne parviennent plus à intéresser ou avoir de l’impact ? Vous voulez constituer un groupe affinitaire pour mener des actions de désobéissance civile créatives, joyeuses et, surtout, efficaces ? Rejoignez-nous pour un atelier de deux jours, lors duquel nous invitons artistes et activistes à venir explorer ensemble les synergies émergeant de la fusion entre art et activisme pour élaborer ensemble de nouvelles formes de résistance créative. 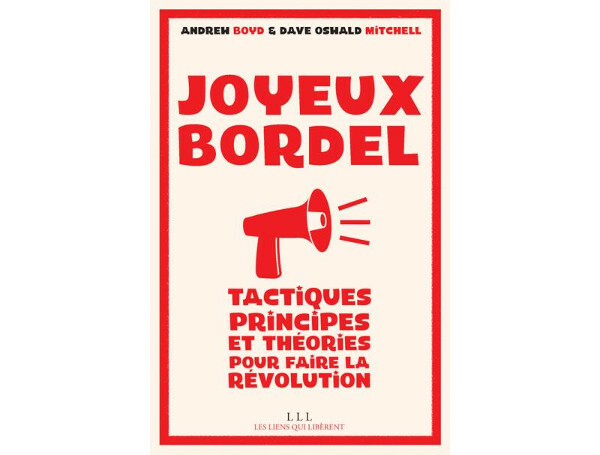 Organisé à l’occasion de la sortie du livre Joyeux Bordel – Tactiques, principes et théories pour faire la révolution, cette formation examinera un éventail d’approches, du canular au démantèlement stratégique, du théâtre invisible au travail médiatique, pour aboutir à un design collectif d’une action pour la justice climatique. 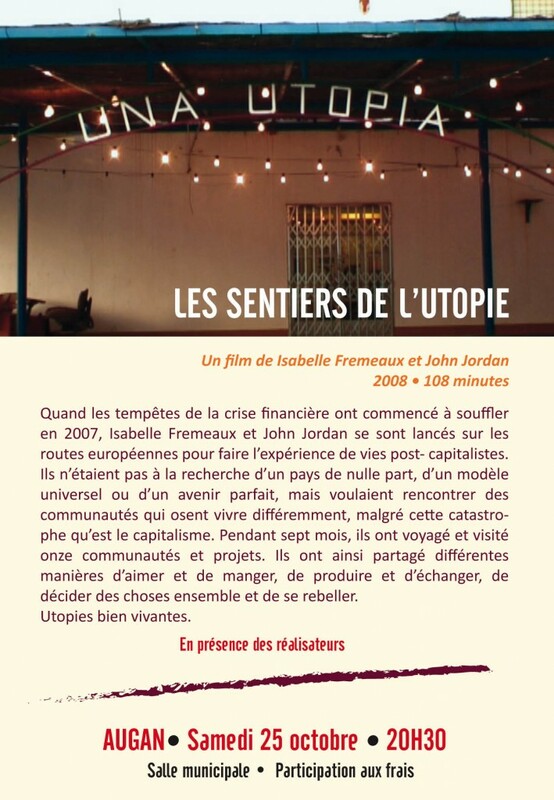 Organisé conjointement par 350.org, les Jeunes Amis de la Terre, Attac, Les Liens qui Libèrent et le Laboratoire d’Imagination Insurrectionnelle (Labofii) , le week-end sera animé par John Jordan et Isabelle Fremeaux du Labofii, avec la participation d’Andrew Boyd, co-auteur de Beautiful Trouble , la version originale du livre. Cet atelier trouvera des applications concrètes dans le cadre de la campagne « Mettons les combustibles fossiles à la retraite » de 350.org , de la publication du guide éco-citoyen « Climat : comment choisir ma banque ? » des Amis de la Terre et de la seconde édition du « kit anti-requins » d’Attac. Quand ? Samedi 28 février de 10 h à 18 h et dimanche 1er mars de 10 h à 16 h (présence exigée sur les deux jours). Où ? Au Jardin d’Alice – 20 rue de Reuilly – Paris 12e (métro Reuilly – Diderot). La participation est gratuite mais les places sont limitées, merci de vous inscrire en remplissant ce formulaire (cliquez ici) avant le 22 février. Are you an artist, designer, hacker, gamer, activist, … ? Do you want to take part in actions balanced between physical and virtual reality? In the lead up to the protests at the Paris COP21 Climate Summit (Dec 2015), The Laboratory of Insurrectionary Imagination, GroenFront!, Climate Express and Multimedia Design KASK Ghent join forces in the creation of a new form of disobedient action: the Climate Games. The goal: transforming the city into the playing field of a mass disobedience action. During the Climate Games teams score points by completing peaceful, creative missions that target the root causes of climate change. Taking place in the city, all participants coordinate their actions by means of an open source smartphone app. Throughout 2015 these Climate Games will be developed during a series of Hackathons involving activists, artists, designers, hackers, gamers, scientists, architects … We are calling on anyone who wants to defeat those who play deadly games with the climate to join for a week of collaboration and creativity. Interested? Then fill in this application form before March 1st. In collaboration with Multimedia Design KASK Ghent, Kunstencentrum Vooruit, GroenFront!, Climate Express & The Laboratory of Insurrectionary Imagination. 2 weeks to go before our show and workshop in Brussels! In 2 weeks time, The Laboratory of Insurrectionary Imagination (Labofii) will be in Brussels at the Kaaitheatre as part of the BURNING ICE festival. On the 14th (st valentines day !) from 10am – Midnight, the Labofii will be culminating its 2 day workshop on the art of creative resistance, with a public day of info/action LOVE LIFE:HATE FOSSIL FUELS. Coinciding with the 350.org global day of action (Global Divestment Day), calling on institutions to take their investments out of the fossil fuels corporations, Love Life: Hate Fossil Fuels will take us on a day long adventure of creative resistance together with an international array of artists and climate activists. Food and information will be shared, you will hear about plans for the Paris UN climate summit mobilisations and a taster training in civil disobedience will warm you up for the ‘action speed dating’ event. This will culminate in affinity groups taking on ‘secret missions’ to be performed across the city. As darkness falls we will return to the Kaaitheater to party and celebrate life over profit with our new found rebel friends. Please bring food to share for lunch and ferocious love to give away. Lets make fossil fuels history! Its all free but to reserve a place, please sign up here. Kaaitheater, Sainctelettesquare 19 – 1000 Brussels. PS: For those who know him, John’s son Jack has composed and is playing the music live to the show and is DJ on the night of the 14th, under his DJ name FRACTAL MIND. Other bands that night will be: at 20:00/ 20:30 B-Road Bastards; at 21:00 / 21:30 Dj Mensch Erger je niet start the party with their set – 00:00 / 00:30 Fractal Mind. Open to artists and activists interested in the boundaries between politics and performance, art and activism, the workshop will explore how we can escape the old rituals of protest to find a space where the poetic and the pragmatic fuse into successful and efficient moments of disobedience. The workshop will be hands on, we will work together to design and then implement actions (with the participation of the public on the 14th) around the theme of climate chaos and the movement to divest from fossil fuel corporations. On the 13th of February at 20.30, the Labofii will present the show We Have Never Been Here Before at the Kaaitheater, Sainctelettesquare 19 – 1000 Brussels. 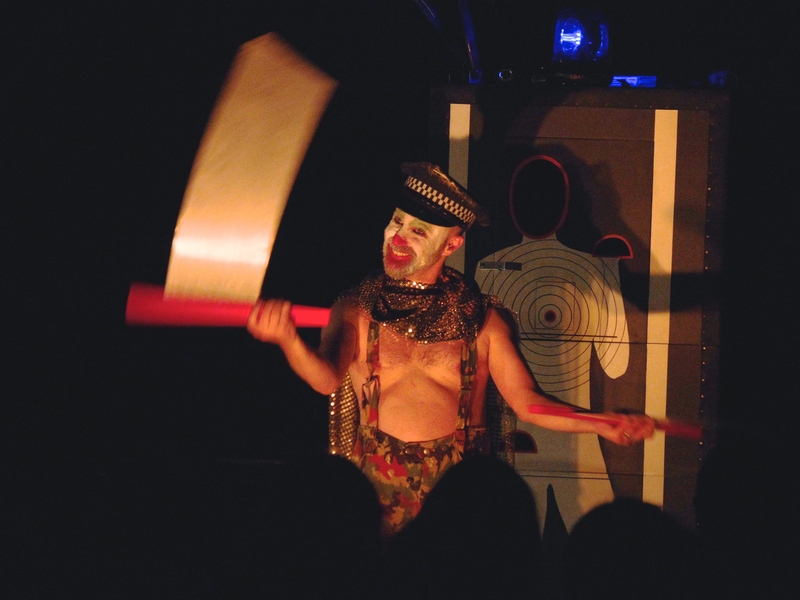 « The Labofii… reminds us of the time when it was still possible for free theatre to try out loving anarchic social utopias… The is about saying goodbye to representation and is therefore the most radical form of theatre » The Frankfurter Rundschau, 2010. 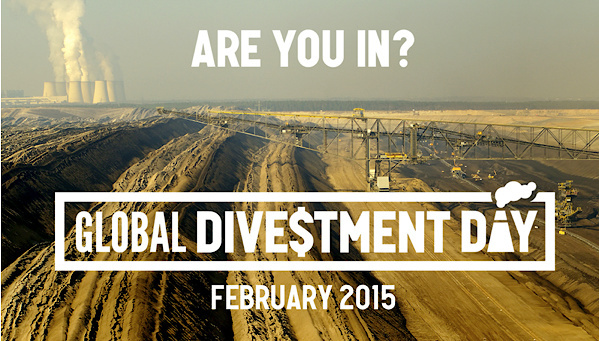 Love Life – Hate Fossil Fuels: An info-action day for the climate. February 14th 2015 10am – Midnight. « If each of us loved our homeplace enough to defend it, there would be no ecological crisis, no place could ever be written off as a sacrifice zone. » Naomi Klein, This Changes Everything : Capitalism vs. The climate. 2014. In 2015, St Valentines day will not be what it used to be. The Kaai will open its doors to the public and transform the theatre into a temporary climate action zone to celebrate a culture of life over the toxic culture of fossil fuels. Coinciding with the 350.org global day of action, calling on institutions to take their investments out of the fossil fuels corporations, Love Life : Hate Fossil Fuels will take us on a day long adventure of creative resistance (prepared during the workshop) together with an international array of artists and climate activists. Food and information will be shared, you will hear about plans for the Paris UN climate summit mobilisations and a taster training in civil disobedience will warm you up for the “action speed dating” event. The “speed dating” will culminate in affinity groups taking on “secret missions” to be performed across the city. As darkness falls we will return to the Kaai to party and celebrate life over profit with our new found rebel friends. Please bring food to share and ferocious love to give away. With The Climate Coalition, Climate Express, The Laboratory of Insurrectionary Imagination, 350.org & Platform. Infamous for touring the UK recruiting a rebel clown army, running courses in postcapitalist culture, throwing snowballs at bankers, turning hundreds of abandoned bikes into machines of disobedience and launching a rebel raft regatta to shut down a coal fired power station, The Laboratory of Insurrectionary Imagination (Lab of ii) merges art and life, creativity and resistance, proposition and opposition. Les Sentiers de L’utopie a Muzillac, Bretagne. 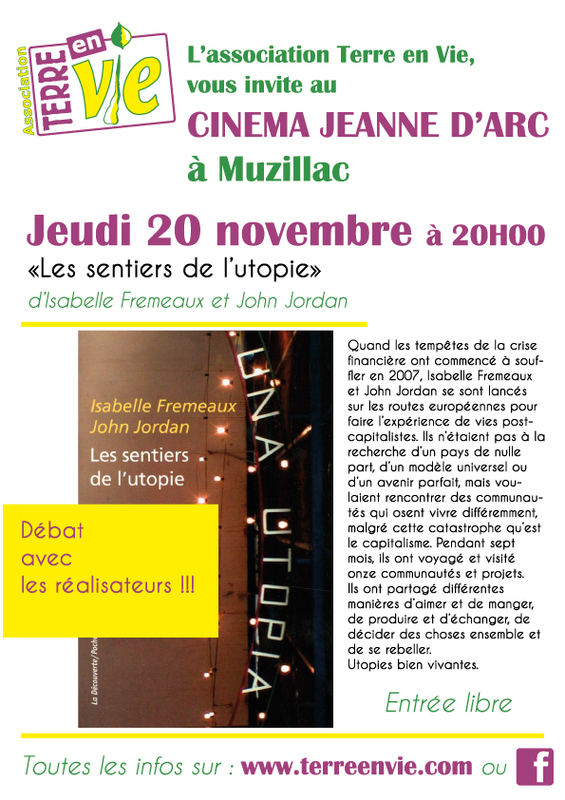 Notre film avec nous le 20 NoNotre film avec nous le 20 Novembre avec Terre En Vie, Cinema Jean D’arc, Muzillac, Bretagne. MilleFeuilles,30 quai des Antilles, Nantes. On y sera pour discuter Utopies autour d’un verre après le film… A bientôt! Faced with the immensity and complexity of the catastrophic entwining of ecological, economic and social crises that threaten our entire way of life, in fact threatens life itself, we often feel paralysed. “We could do more”, our intuition nags at us, and yet something holds us back from actions commensurate with the scale of the problem. Even Yvo de Boer, (executive secretary of the United Nations Framework Convention on Climate Change in 2009) recently asserted that “The only way that a 2015 agreement can achieve a two-degree goal (the ‘safe’ limit to warming) is to shut down the whole global economy.” Thus “what are we waiting for? And to do what?” will be some of the core questions that this workshop will explore. We will delve into our fears of action, and attempt to find collective tools to overcome the feeling of disempowerment that can overcome us in these dark times. Participants will be encouraged to share and reflect upon personal and historical stories of courage and disobedience, learn to trust each other and engage in horizontal processes of organising, as well as explore tools for effective strategies that are required in order to organise appropriate responses to the injustices of the climate catastrophe. Working with local artists and activists and using a diversity of participatory and playful methods of popular education, it will aim to start a momentum towards collective organising and affinity group building for effective disobedience in response to the UN’s 2015 Paris Climate summit. The workshops will be facilitated by Isabelle Fremeaux, co-founder of the Labofii, and will be in English. In parrallel to the workshop is the show: We Have Never Been Here Before, written and performed by John Jordan, co-founder of the Labofii. Participants are encouraged to attend the performance on Friday 4 July, as is content is key for full engagement with the workshop. Free tickets are available for all selected participants. The workshop is free, but places limited, bookings need to be made by June 15th (with a short letter explaining why you’d like to attend, this is to get a sense of who you are so that we can tailor the workshop to the participants). Confirmations will be sent by June 22nd. Participants will be expected to bring lunch to share with others on both days. « It reminds us of the time when it was still possible for free theatre to try out a loving anarchic social utopias… This is about saying goodbye to representation and is therefore the most radical form of theatre » The Frankfurter Rundschau, 2010. The Laboratory of Insurrectionary Imagination (Lab of ii) merges art and life, creativity and resistance, proposition and opposition. Infamous for touring the UK recruiting a rebel clown army, running courses in postcapitalist culture, throwing snowballs at bankers, turning hundreds of abandoned bikes into machines of disobedience and launching a rebel raft regatta to shut down a coal fired power station; we treat insurrection as an art and art as a means of preparing for the coming insurrection. The Lab of ii is now in the process of setting up a school for creative resistance and a communal organic farm in Brittany. Si vous avez lu Les Sentiers de l’Utopie, vous vous souviendrez de la formidable lutte des ouvrières et ouvriers de Zrenjanin en Serbie. Vous aurez également compris à quel point nous avions été touchés par leur solidarité, leur opiniâtreté, leur incroyable générosité. Nous étions devenus très amis avec Milenko et Ivan (surtout ce dernier), nos deux jeunes guides, soutiens indéfectibles des ouvriers depuis le début, et que nous avions décrits dans les Sentiers comme de « jeunes zapatistes serbes ». Nous étions restés sans nouvelles depuis longtemps (ce qui était entièrement notre faute, absorbés que nous étions par nos propres projets et luttes sur le terrain), et venons juste d’apprendre que l’aventure Jugoremedija s’est malheureusement mal finie. Ivan (décrit ci-dessous la situation politique serbe fort complexe et l’impact que celle-ci a sur les luttes ouvrières. Ivan continue son combat et a besoin de soutien. Il a écrit une lettre (voir ci-dessous) afin d’expliquer la situation et demander des fonds pour acheter du mobilier afin d’aménager de manière adéquate le local où il travaille. Il s’agit de recueillir environ 400 euros. Comme les frais de virement vers la Serbie sont chers, nous nous proposons de recueillir vos dons et de les envoyer à Ivan. Ceci est une « opération » informelle, nous ne pouvons pas mettre en place un compte bancaire spécifique et proposons de recueillir les fonds sur le compte bancaire de l’association des Ami-e-s de la Ronce (merci de nous contacter pour que l’on vous communique les coordonnées). Nous enverrons les fonds recueillis fin février. Nous comptons sur votre confiance pour être rassurés quant à la bonne destination de ces dons, et vous ferons bien entendu savoir quand nous les aurons envoyés à Ivan ! Merci d’avance de nous aider à soutenir ce groupe d’ouvrières et d’ouvriers qui continuent à croire et à lutter pour une plus grande justice, et pour montrer l’exemple ! En 2000, la classe ouvrière fut l’élément clé pour renverser le régime national socialiste de Slobodan Milošević. Les libéraux qui prirent le pouvoir n’ont jamais poursuivi en justice, ni repris leur fortune à ceux qui avaient volé les entreprises pendant le régime de Milošević. Au contraire, les libéraux ont pardonné à ceux qui se sont enrichis grâce à la guerre et ont légalisé leurs statuts d’entrepreneur, ils ont fait porter aux ouvriers la responsabilité de la guerre et les ont puni par la privatisation. Pendant douze ans, des ouvriers ont lutté pour leurs droits, utilisant les lois anti-corruption, forçant les libéraux à suivre leurs propres règles. 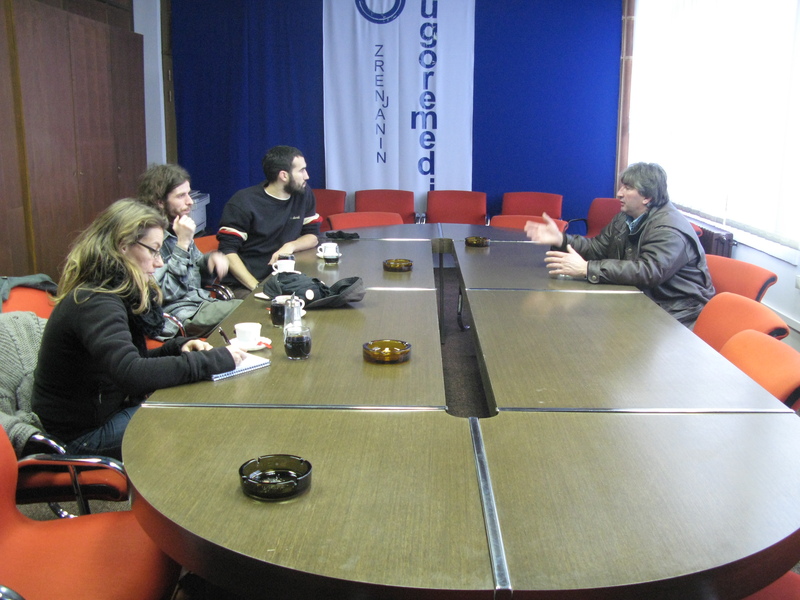 Certains groupes d’ouvriers connurent un grand succès, comme ceux de l’usine pharmaceutique Jugoremedija à Zrenjanin, qui en 2007 réussirent à restaurer l’autogestion en tant qu’actionnaires majoritaires. Un grand nombre continuèrent la lutte inspirés par l’exemple de Jugoremedija. Lors des élections de 2012, l’Union Européenne a décidé de soutenir les nationaux-socialistes, qui avaient entre temps rejeté Milošević et Šešelj, et tenaient surtout à faire leurs preuves auprès de Bruxelles. Les nationaux-socialistes firent campagne contre la corruption lors de la privatisation des entreprises, promirent de résoudre les fameux « 24 cas » et triomphèrent aux élections. Parfait pour la classe ouvrière serbe, tout ça, non ? Avez-vous jamais entendu des nationalistes soutenir l’autogestion ouvrière ? Même si ces ouvriers agissent formellement et légalement en tant qu’actionnaires majoritaires ? Cela n’est jamais arrivé et n’arrivera jamais. Des activistes de gauche qui ont soutenu les ouvriers dans les luttes anti-corruption depuis 2000 se sont réunis dans un collectif : le Maître Ignorant et ses Comités. L’été dernier nous avons lancé pour la toute première fois en Serbie, un projet d’aide légale pour les groupes d’ouvriers autogérés luttant contre la privatisation. Les groupes avec lesquels nous travaillons sont principalement issus des « 24 cas », qui sont maintenant, comme Jugoremedija, sous le feu des politiques anti-corruption du gouvernement, qui spolient les ouvriers de leurs droits d’une manière aussi dure que la corruption l’a jamais fait. De plus, nous luttons aussi contre la corruption dans les tribunaux et essayons d’articuler les luttes ouvrières. Récemment, nous avons soumis une proposition de loi pour changer la Loi sur les Faillites, exigeant que les entreprises tombées en faillite soient rendues aux ouvriers pour être réorganisées. Ceci est basé sur de nombreuses recherches et des discussions pendant plus d’un an à propos du système yougoslave d’autogestion ouvrière et d’entreprise sociale (« društvena svojina »). Nous voulons apprendre de l’expérience socialiste yougoslave et adapter ses meilleurs aspects à la situation politique actuelle. Nous collaborons également avec d’autres groupes d’ouvriers autogérés, dont l’un a récemment soumis une demande à la Cours Constitutionnelle de Serbe pour abolir la Loi de Privatisation et pour restituer la propriété sociale aux ouvriers. Après l’amère expérience de Jugoremedija, il semble évident que l’autogestion des ouvriers dans une seule usine non seulement est impossible, mais a tendance à être dangereux pour celles et ceux qui la mènent. En ce moment, nous organisons deux ou trois événements par semaine, voire plus (réunion d’organisation avec les ouvriers et les avocats, réunions publiques, etc.). Pour cela, nous avons besoin d’un espace adapté. Si nous avons réglé le problème de la salle, nous avons toujours besoin de chaises. L’idéal serait une cinquantaine de chaises (8 euros pièce) afin de continuer à nous réunir et à informer le public. Nous serions infiniment reconnaissants de votre soutien. Isa sera au café de la pente pour discuter avec qui voudra après la projection des Sentiers de l’Utopie. Soirée organisée par l’association Ingalan, avec collation à partir de 19h30. À la fois récit de voyage et documentaire fictionnel, ce livre-film propose un périple réel et imaginaire, une exploration lancée à la découverte de formes de vie postcapitalistes. Both travel writing and a fictional documentary , this book-film propose a real and imaginary journey, an exploration to discover postcapitalists ways of life.